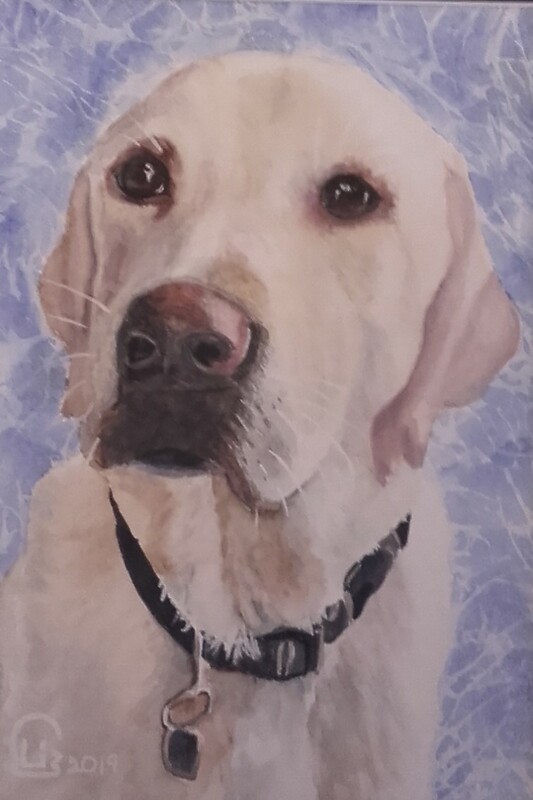 Liz Cameron is a dog and cat portrait artist who paints from the heart of Suffolk using traditional watercolours, soft pastels and rich colour pencils. She carefully captures the essence and unique character of each animal for a portrait you’ll love. 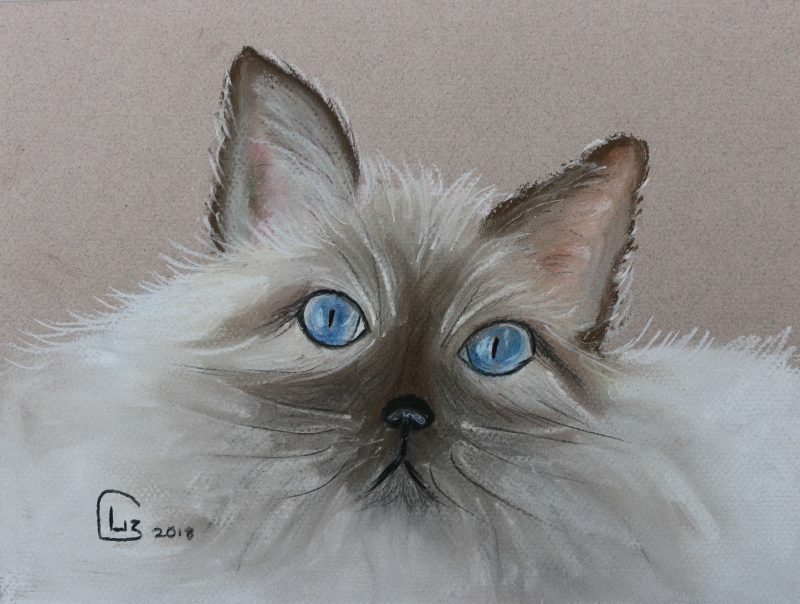 Let Liz capture the likeness of your cat, dog or other pet in beautiful watercolour. Liz works with the natural movement and energy of this medium to bring your pet to life on paper. 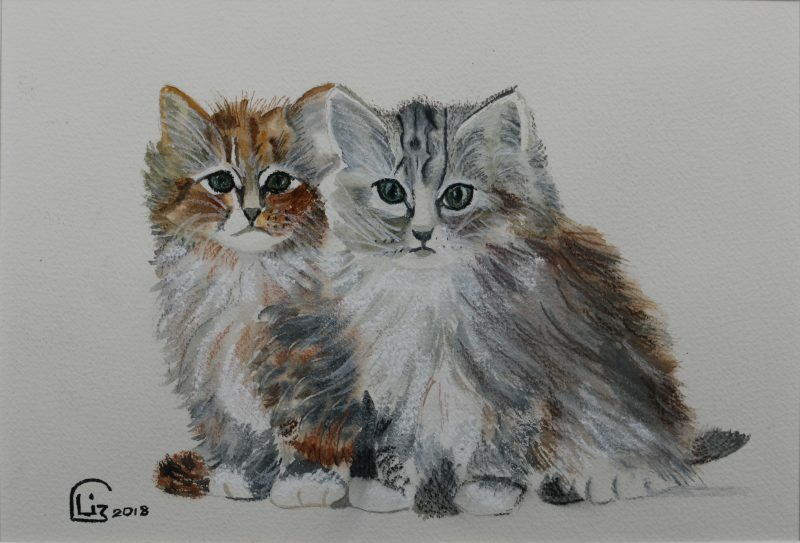 Pastel’s soft textures and colours bring warmth and depth of emotion to your cat or dog portrait. Pencil drawings are wonderful for fine, lifelike detail with almost touchable textures. Working in colour adds a deep richness. Liz provides a variety of sizing options to suit you. Her work is of smaller scale by nature, allowing an intimacy and devotion to detail; however, larger commissions can be discussed on a case-by-case basis. All paintings are mounted and the dimensions below are of the viewable area of the painting, set within the mount. Postage and packaging to anywhere in the UK costs £7.50. Great for smaller animals and breeds. The perfect size for a desk portrait or small mantlepiece. Perfect for mid-sized breeds. Ideal for small hallways, bookcases or mantlepieces. Use for portraits of more than one animal. Great for larger wall spaces and surfaces. a photo of your pet. on watercolour, pastel or colour pencil. a size for your portrait. a 25% deposit via bank transfer. 2 – 3 weeks your portrait will normally be complete. a photo of the completed work, emailed to you by Liz. the remaining amount, Liz will then post your portrait to you. All portraits are drawn or painted using the highest quality paper and materials. Each portrait is mounted and unframed. 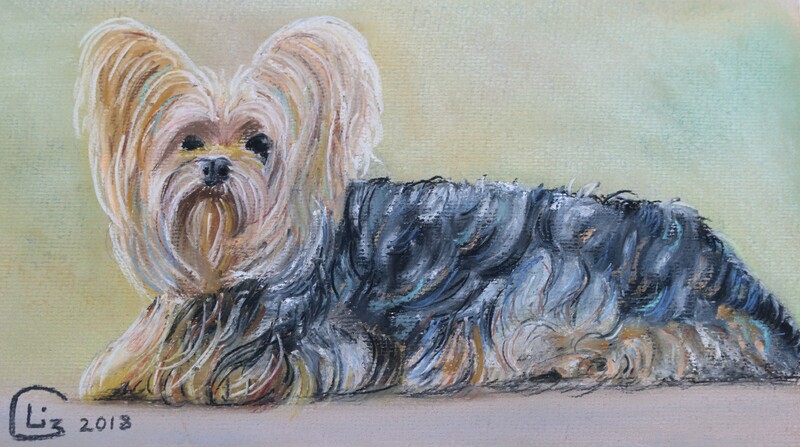 Part of your consultation with Liz will help you decide the best medium, or best use of multiple mediums, size, background & mount colour to lovingly recreate your pet.